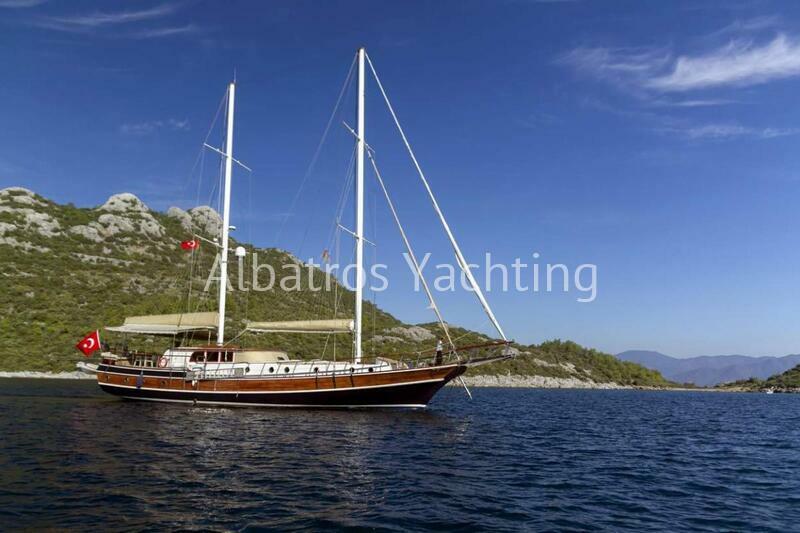 Welcome aboard this 24-metre traditional wooden gulet. 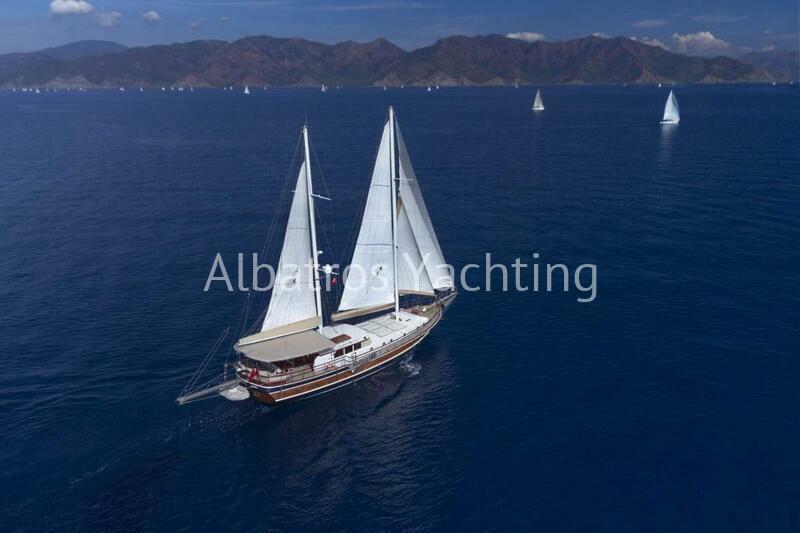 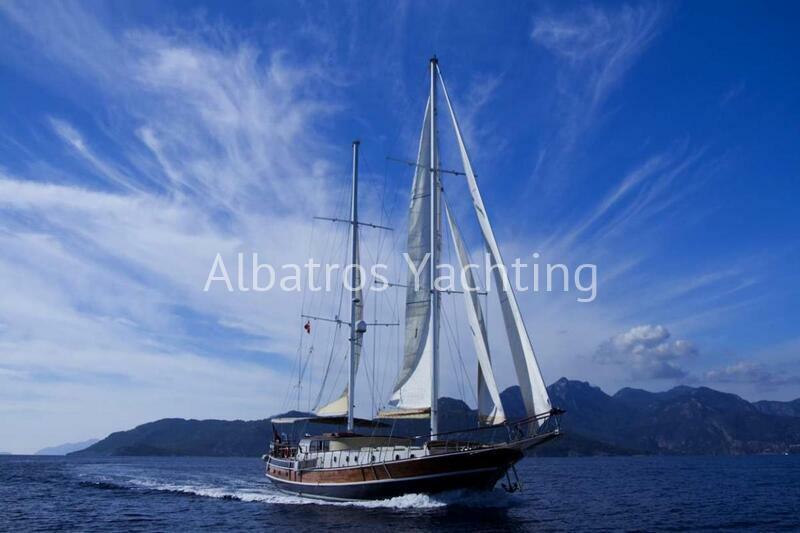 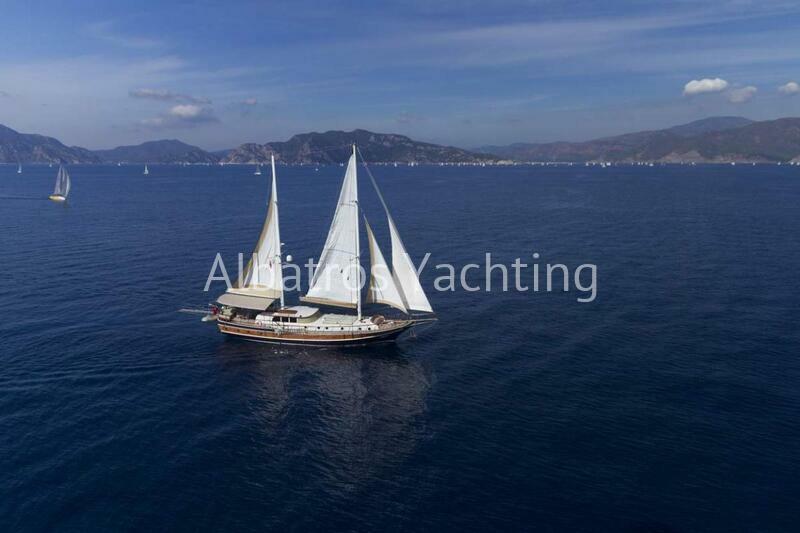 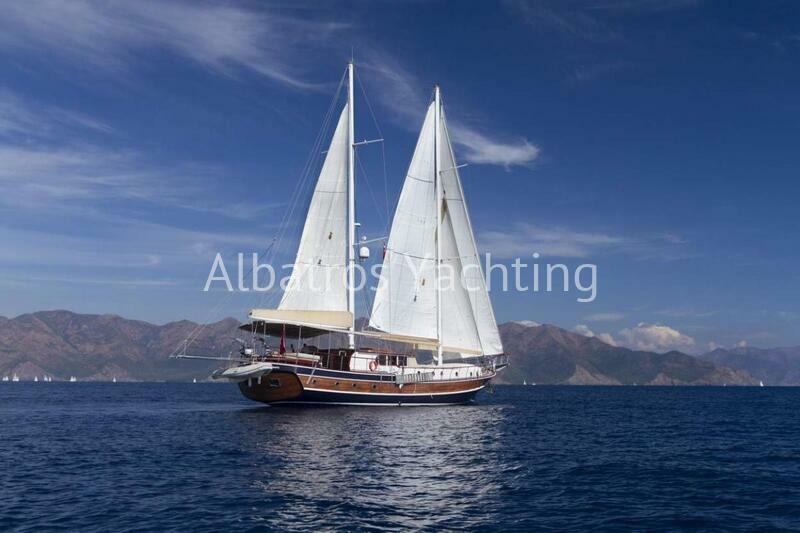 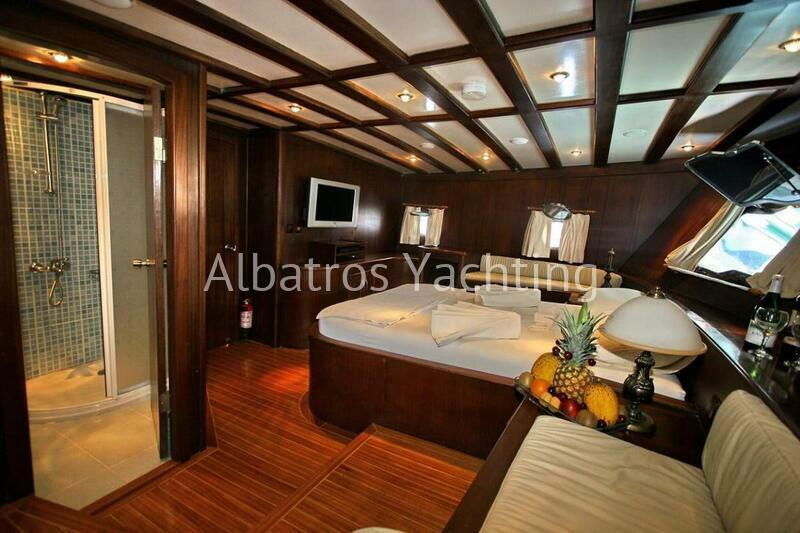 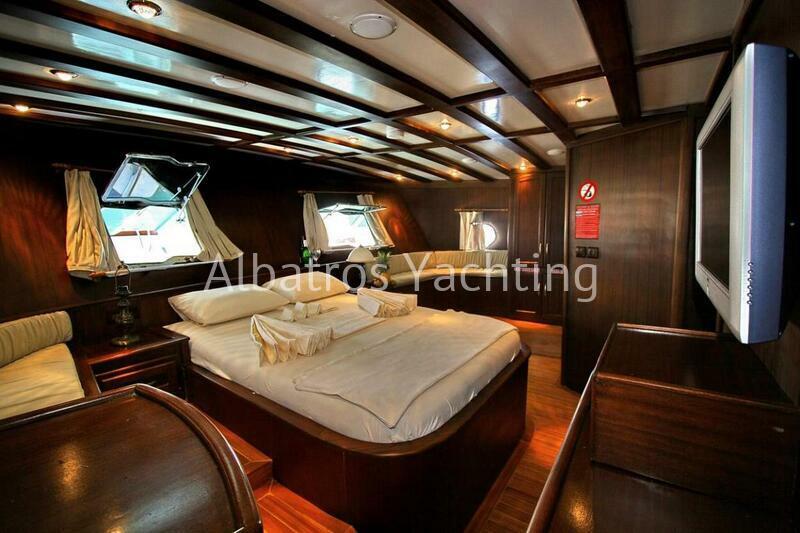 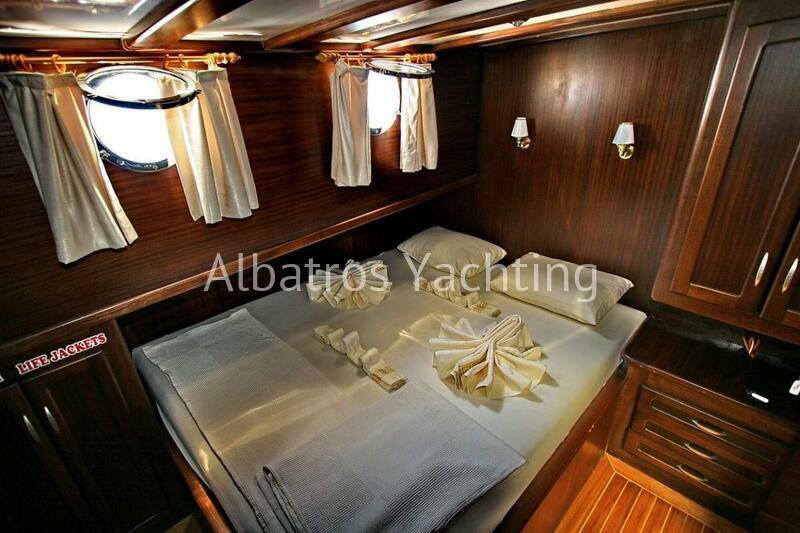 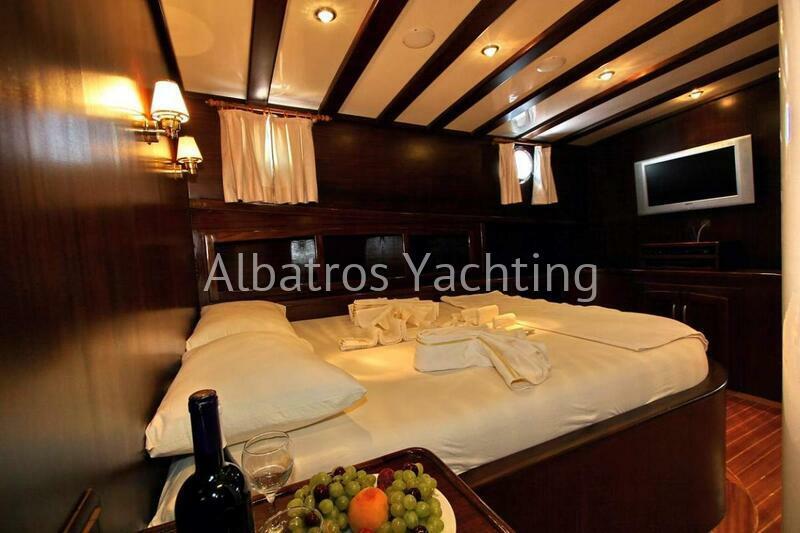 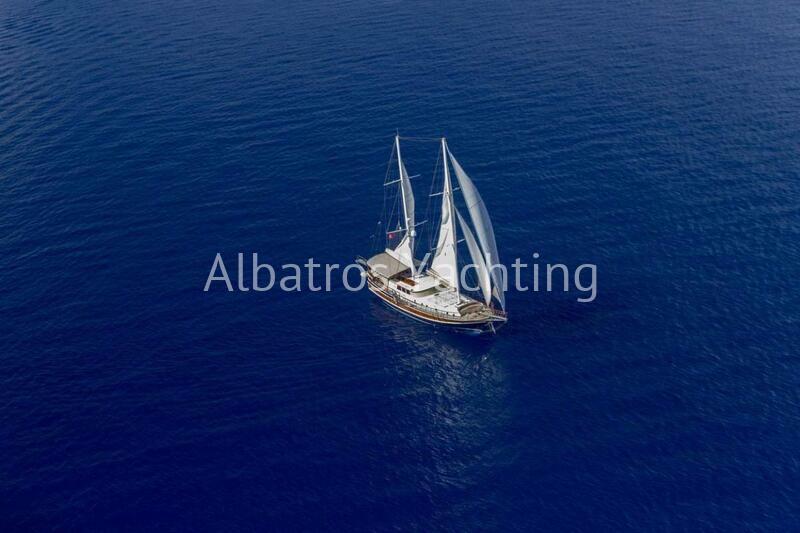 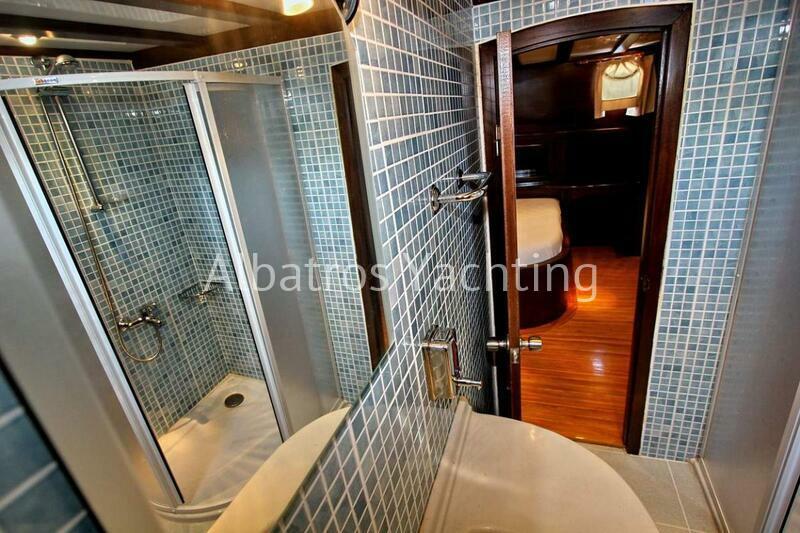 This luxury gulet has 2 master cabins and 3 double cabins- each air-conditioned and en-suite. 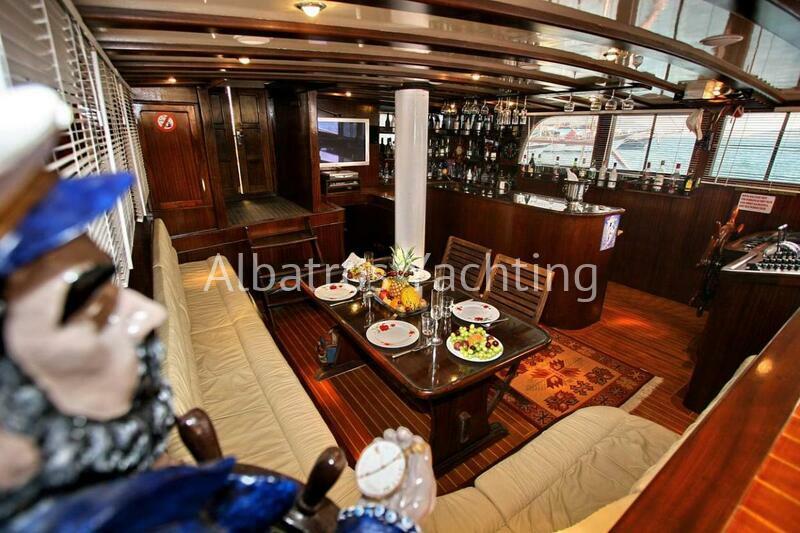 Her carefully designed lounge has a music system and TV, The large table and comfortable seating area make it a beautiful atmosphere for dining. 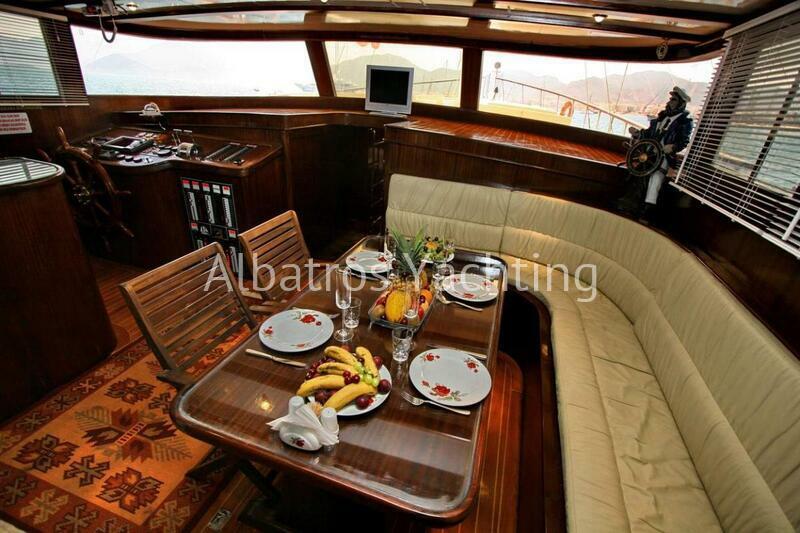 On her spacious deck, there is more space to dine, sunbathe, canoe, fishing equipment and snorkelling equipment. 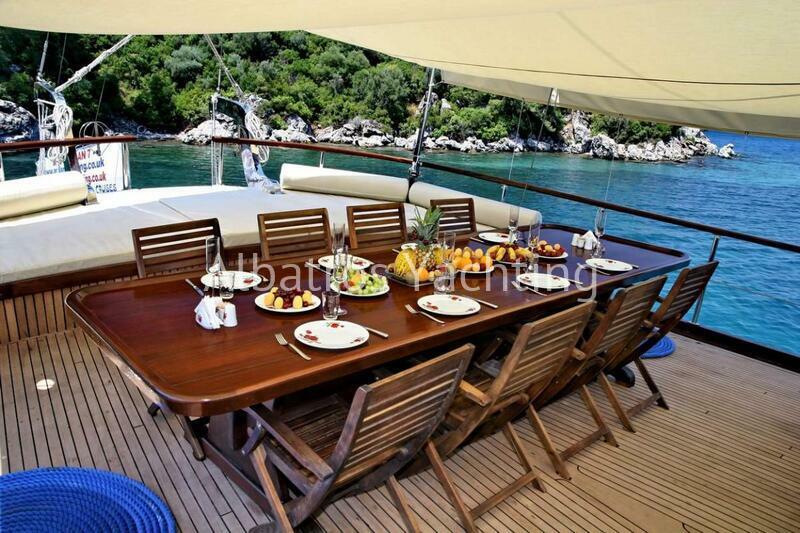 Derya is based in Marmaris, giving you the option to discover the Turkish Coast, Bodrum or the 12 islands of Gocek.